Contrary to what our name might tell you, SBSK is not only about surfing and kayaking. 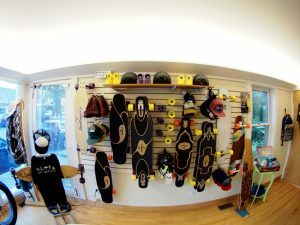 We’ve got a rad selection of longboards to get you to/from the beach or to just spend a day cruising Northern Michigan’s streets. Our top-quality brands include: Loaded, Sector 9 & Sreyal.